So many phones, so many choices. I just wish they were all available on all carriers. 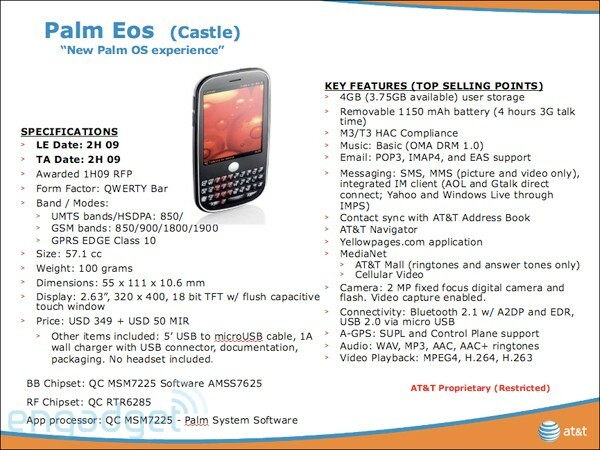 Even though the Palm Pre is CDMA only, I probably would have bought one if it was also on AT&T. Unfortunately, it’s not – but if this slide is for real, it looks like we’ll have a pretty nice little Palm gadget as an option in a few months.